Ofer Eini and Rotem Kamer, president and CEO of the Israeli Football Association, respectively, address the media Wednesday in the town of Ramat Gan, east of Tel Aviv. The men announced that the organization will file a formal complaint to FIFA against the Palestinian Football Association. Jibril Rajoub, head of the Palestinian Football Association, stands in front of a sign thanking Argentine star Lionel Messi for his boycott of the Latin American country's pre-World Cup friendly with Israel. Palestinian leaders celebrated the cancellation of the friendly match at a news conference Wednesday. The soccer match scheduled for Saturday between Israel and Argentina was to have little consequence, at least as far as the teams' standings were concerned. It was just an exhibition in Jerusalem, a way for Argentine players to get their legs warm before the World Cup and for Israeli fans to get a glimpse of such superstars as Lionel Messi. Now Argentina has called off the game — and disputes over why, exactly, have shifted the confrontation from the soccer field to the international political arena. Argentinian officials said Wednesday that they had their players' safety in mind. "What has happened in the last 72 hours — the actions, the threats that have occurred — have led us to make the decision not to travel," Argentine Football Association President Claudio Tapia said at a news conference in Barcelona. He added that, in his position of leadership, it is his responsibility to protect "the physical integrity and safety of the entirety of the entire delegation." Palestinian officials quickly celebrated the decision. The head of the Palestinian Football Association, Jibril Rajoub, had pushed for days to have Arab soccer fans protest the game. Rajoub condemned the decision to hold a match in Jerusalem just weeks after the U.S. moved its embassy to the disputed city, and after Israeli troops killed more than 100 Palestinians during weeks of protests, some violent, on the Gaza border. "Rajoub had accused Israel of playing politics with the game, by moving it from its original location in Haifa to Jerusalem," as The Washington Post reports, "and by trying to link it to celebrations surrounding Israel's 70th anniversary." He changed his tone drastically Wednesday after the cancellation, at least when it came to the Argentine players. 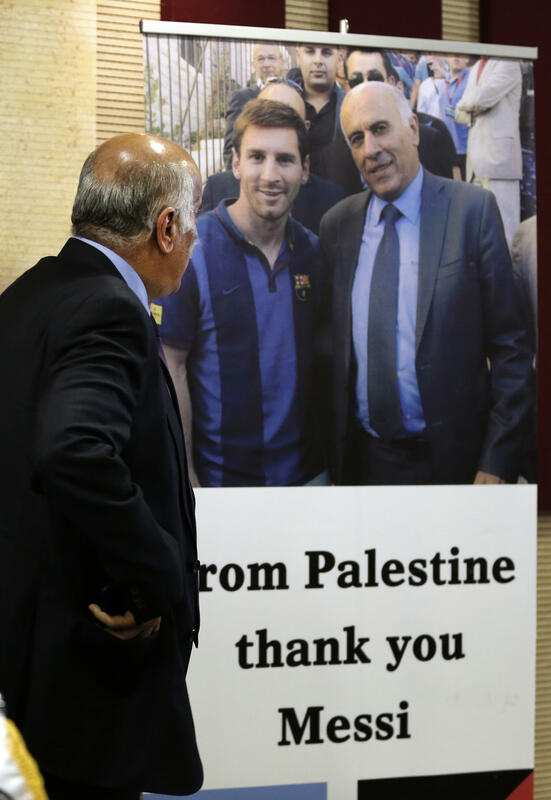 Rajoub even held a news conference beside a sign specifically declaring, "From Palestine, Thank you, Lionel Messi!" The Argentine national team even got a rousing thanks from Hamas, Gaza's de facto ruler and a group the U.S. and Israel consider a terrorist organization. "Argentina's decision to cancel a friendly match with the Israeli Occupation's team is highly commendable and is a very appreciated position," said Husam Badran, a member of Hamas' political arm. Israeli leaders expressed dismay and anger over the decision, casting it as an unfortunate concession to Palestinian pressure. Elad Ratson, a diplomat with the country's foreign affairs ministry, dismissed the Palestinian reaction as a bid to "sell everyone the 'not coming because I'm afraid', as a 'not coming because I support.' "
The Israeli Embassy in Argentina, in announcing the game's "suspension," chalked up the Argentine decision to "the threats and provocations directed at Lionel Messi," noting that nevertheless the decades-long friendship between the two countries does not hinge entirely upon a single football match. Israeli Defense Minister Avigdor Lieberman came out stronger in response. It is "too bad" that the Argentines did not "withstand the pressure of the Israeli-hating inciters," he tweeted, according to a BBC translation. "We will not yield before a pack of anti-Semitic terrorist supporters." 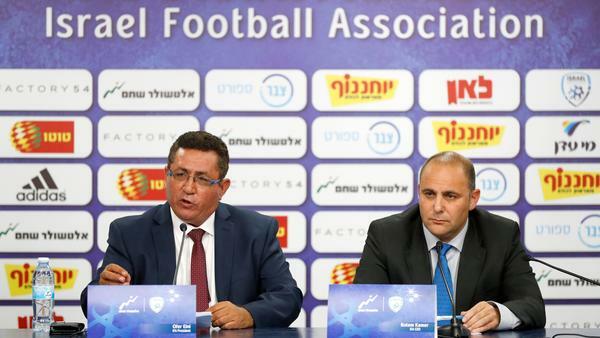 Ofer Eini and Rotem Kamer, the Israeli Football Association's chairman and CEO, respectively, convened a news conference Wednesday to announce that they were taking the matter up with FIFA, soccer's international governing body. "The Association views with severity the physical and brutal threats, which crossed every red line," the IFA said in a statement Wednesday, calling out Rajoub by name. And the organization vowed to "do everything in its power in the world football institutions to hold Rajoub and the Palestinian FA accountable." Even as the volleys of criticism and condemnation have flown back and forth above their heads, the players themselves have remained relatively silent. But Argentina's Gonzalo Higuain stood by the decision when he spoke with ESPN about it on Tuesday. "They've finally done the right thing," he told the network.